Charm, beauty and fascination of bringing a treasured piano back to life is a true rewarding experience. The craftsmanship and dedication that originally went into making this instrument is unmistakable and is what made Weber one of the world’s most superb pianos in its day. This is a fine example of a late 19th century Rosewood Victorian grand piano with all its grandeur and style. According to the Pierce Piano Atlas 12th edition, Weber piano company was established in 1852 by Albert Weber on White St. in New York. Albert Weber was from Bavaria, Germany and was very renowned in the piano industry until his death in 1879. This piano is a true work of art and worthy of meticulous restoration technics to preserve its beauty for a future generation. 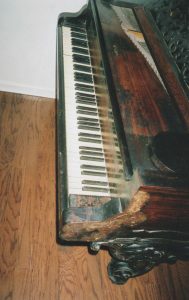 Many of the parts and mechanisms of this piano are not standard like in a modern-day piano and do not allow for simple part replacements thus much of the reconditioning that must be accomplished in a piano like this is through working with the existing parts and rebuilding or repairing them as necessary to preserve the originality of the instrument. As you can tell, the piano had heavy use during its lifetime as well as being exposed to seasonal changes for many years. 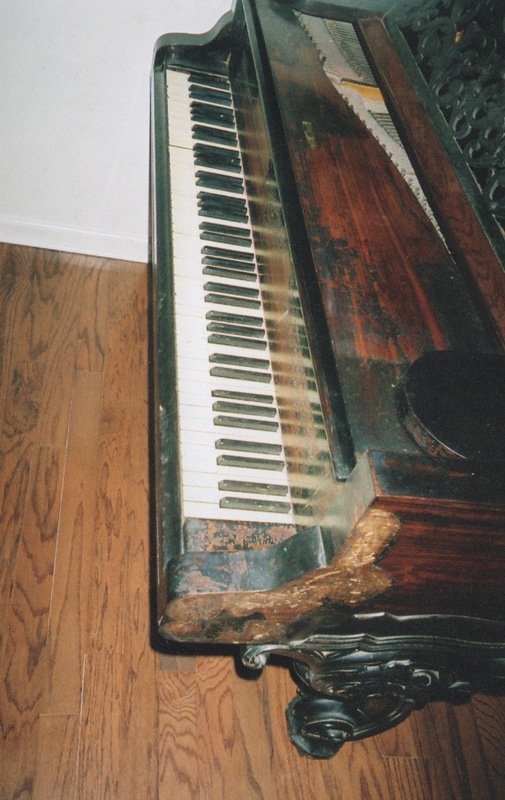 Basically, everything on the piano was severely worn or broken. All the internal parts needed to be reconditioned or rebuilt to get it back to a restored state of being playable and tunable again. 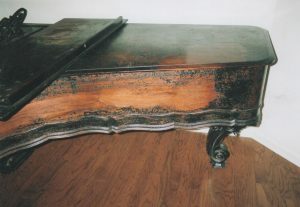 Many pianos are not worth the expense of restoration and many others’ original condition has deteriorated beyond the point of practical repair. 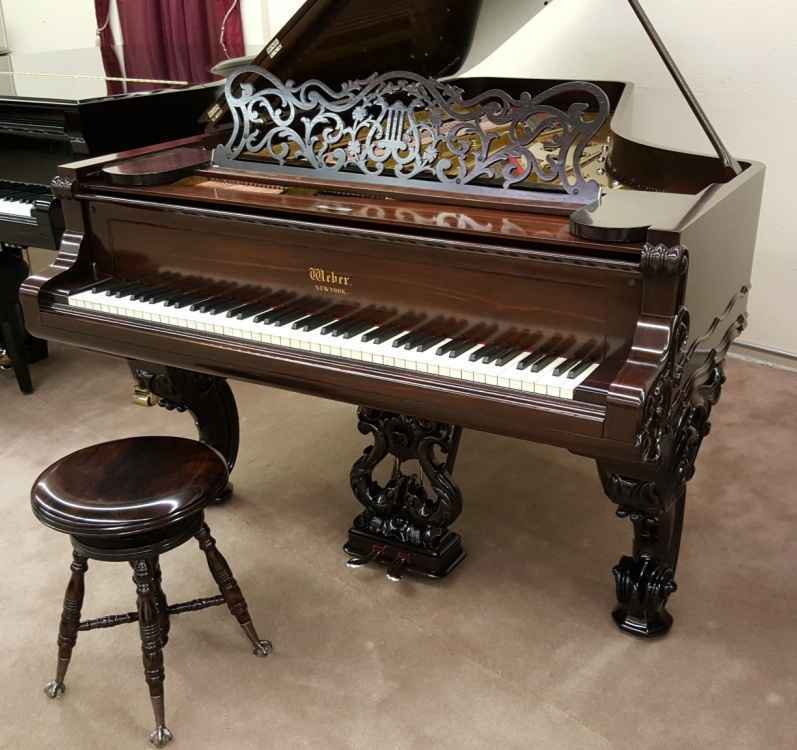 Factors need to be considered in choosing whether to restore an antique piano such as cost of repairs compared to replacement, sentimental value, personal attachment or even historical value. For this particular instrument, it was a true love of labor in being able to bring it back to life from the poor condition it was in and give it another generation of being able to bring happiness to a new owner that will love and cherish this exquisite instrument. Thousands of tiny parts make up the action assembly. 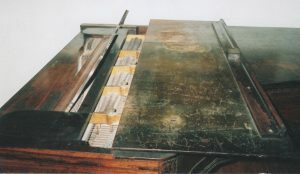 The action mechanism in this Victorian piano is somewhat different than its modern counterpart. Many of the levers, springs and catches operate like a modern action but with varying degrees of precision/durability shortcomings. 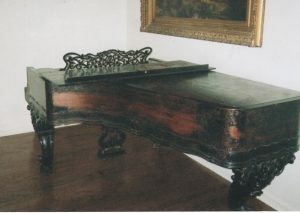 One of the notable differences is that the action brackets are made of wood in this piano and are more susceptible to moisture changes than a modern piano that has action brackets made from various types of metal. 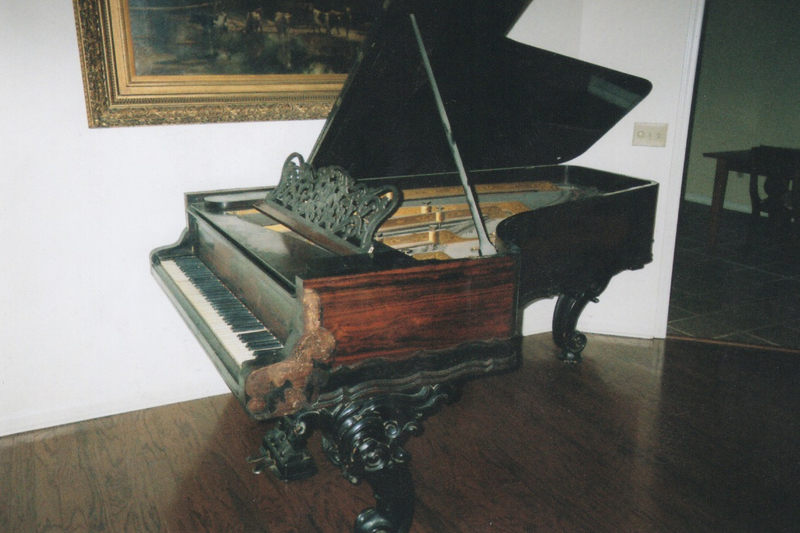 An object of distinction, this Victorian Grand Piano made by Albert Weber in 1874 is a true American Grand. This 7-foot Rosewood piano has been transformed from a discarded and forgotten piece of furniture to a fine example of the pianos manufactured during the late Romantic/Postromanticism era. Often referred to as the Gilded Age, where rapid expansion of industrialization in the United States took place this piano is a fine example of an important era when every household budget included a piano. During this period, everyone had to have one and to have one of this quality, beauty and presence was extraordinary.